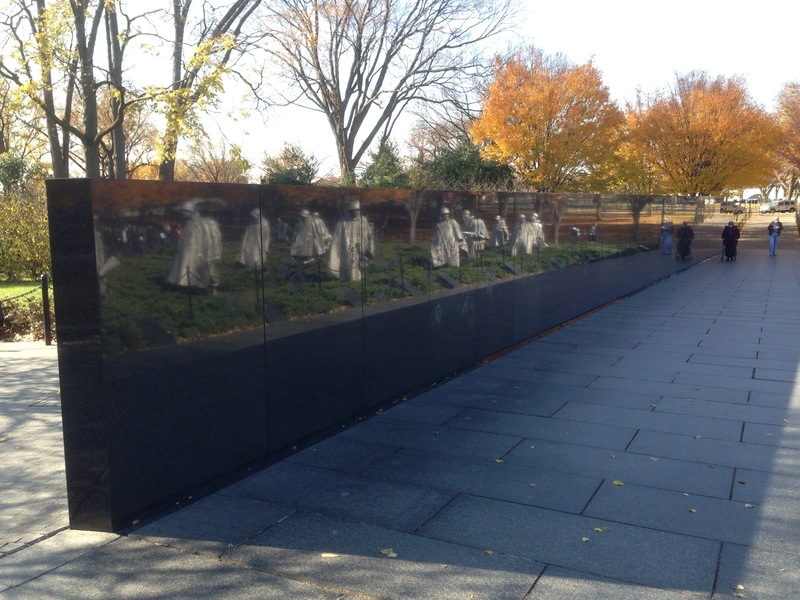 Walk to the Korean Veterans' Memorial, just south and east of the Lincoln Memorial and Reflecting Pool. 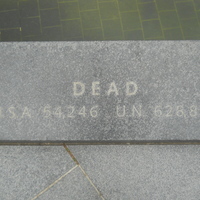 What we call the Korean War lasted from 1950 to 1953. It was part of the larger Cold War, the global struggle between the US and its allies and the Soviet Union and its allies. Korea had been divided into two countries after World War II. In 1950, North Korea, backed by the Soviet Union and Communist China, invaded South Korea, which was allied with the US. The war initially went badly for the US, but an American counterattack drove the North Korean and then the Chinese forces back to the border with China. The war ended with the original border between North and South Korea restored. 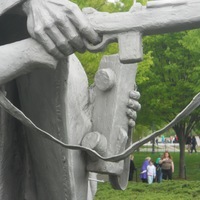 Look around the Memorial for the images shown below. When you find them, click on the photo for more information. In 1948, President Harry Truman signed an executive order ending segregation in the US armed forces. African Americans had fought in every American war since the revolution, but always as members of segregated units. In Korea, for the first time, American soldiers of all races and colors served together. This man carries an early example of a walkie-talkie, a radio designed for use by a single platoon over short distances. Another member of this platoon carries a more elaborate backpack radio. In practice, neither worked very well. Marines engaged in combat in the late stages of the war would frequently send up flares to communicate rather than rely on electronics. 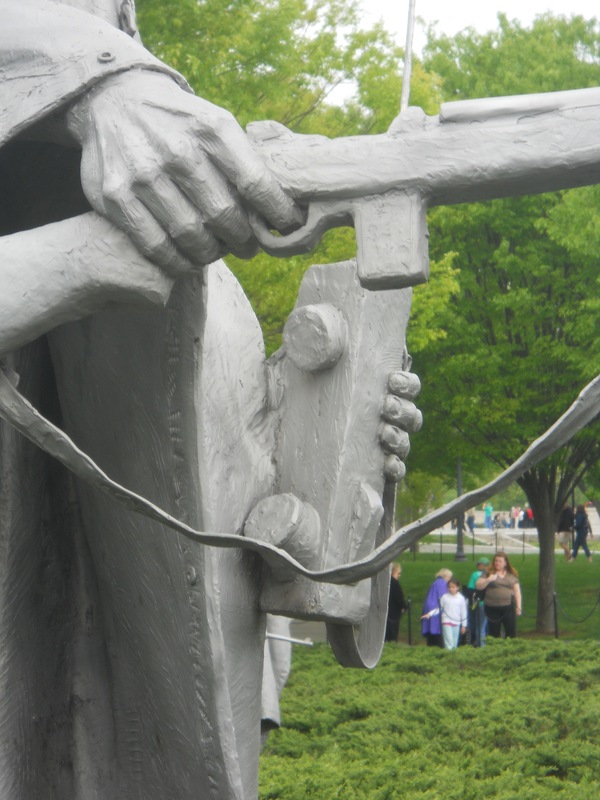 Americans remember the Korean War as an episode in the Cold War. But for Korean people, it was part of a very long and very bitter civil war. 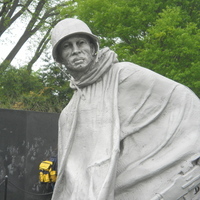 It was also very much an international war, as the figures on the nearby stones point out. The capital of South Korea, Seoul, was captured or re-captured four times during the war.